Deco Adamo is an elite On-Site Beauty Agency in Chicago, Phoenix, Atlanta and rapidly expanding to other large cities nationwide. Here at Deco Adamo we represent high talent Makeup Artists and Hairstylists. 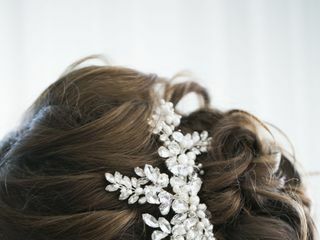 With a strong reputation in the Bridal Industry we represent the nations best Bridal Hairstylists and Makeup Artists ensuring our clientele that they will have a luxurious and memorable experience. Each artist is hand picked by our founder and beauty expert, Kayla Consolo, placed through necessary training and certifications through our Deco Adamo branded training program, and groomed to provide an unforgettable experience. 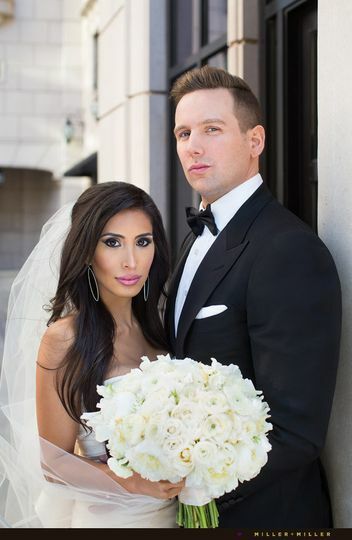 Deco Adamo provides luxury, on-site bridal hair and makeup packages. They specialize in airbrush as well as traditional makeup services, customized eyelashes, and bridal hairstyling. All styles are guaranteed to look flawless and last throughout the evening. I barely wear makeup on daily basis, but understand this won't fly for your wedding day and all those pictures! I was looking for a natural look when I came across Deco Adamo's Instagram page and knew it was perfect balance between natural and glam that i was looking for. Kayla was a sweetheart and came to me for my make up trial, and talked me through everything and was super helpful in telling me what I should consider or ensuring I was comfortable on my day. 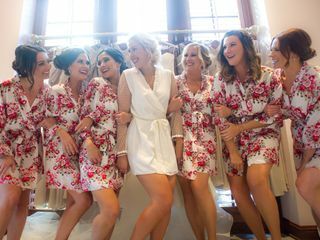 Kayla has a team of 20+ so they were great about adjusting to ensure we had enough coverage for my entire bridal party and MOH and MOG to get their hair and makeup done. Kayla and her team came to us and worked super fast and efficiently that we were ahead of schedule - when does that ever happen?! I didn't have a chance to do my hair trial before, but Alison nailed it and I couldn't have been happier. 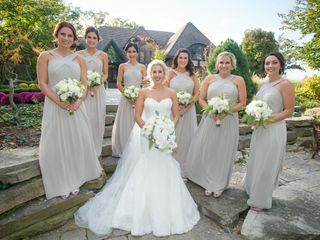 All my bridesmaids looked absolutely radiant yet natural with their makeup and Alison did a great job with their updo hairstyles - it made me almost want to get one! I would recommend Deco Adamo to anyone getting married in the Chicago area. Deco Adamo is a true joy to work with! Deco Adamo was one of the first "vendors" we hired for our wedding; they came HIGHLY recommended, and they did not disappoint! I first met Kayla and Alex for my engagement photoshoot, and they were a BLAST. The makeup and hair was stunning. I hired them for a few more events throughout the year, and it was so much fun hanging out with them and getting to know them. On the wedding day, Kayla, Alex, Brittany and Kacey did an AMAZING job. All of the women looked so gorgeous. 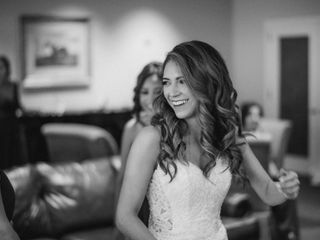 Personally, I couldn't have been happier with my bridal hair and makeup. I looked like myself, but super GLAM; we received so many compliments throughout the night! In addition to the pure beauty talent, Kayla and her team are fantastic at multi-tasking and making everyone feel at ease with fun, relatable conversation. Thank you, Kayla, Alex and team!!! Kayla and her team were so amazing!! 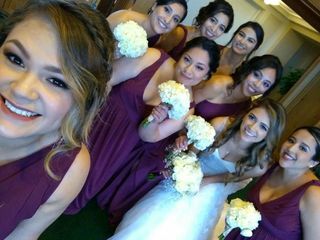 Not only were they all so friendly and sweet, they did such a wonderful job making me and my bridal party all feel so beautiful for my big day. They also finished early allowing for everyone to get quick touch ups before our pictures. Highly recommend! !